Well it is the day after the night before and I can safely say it was a great success. 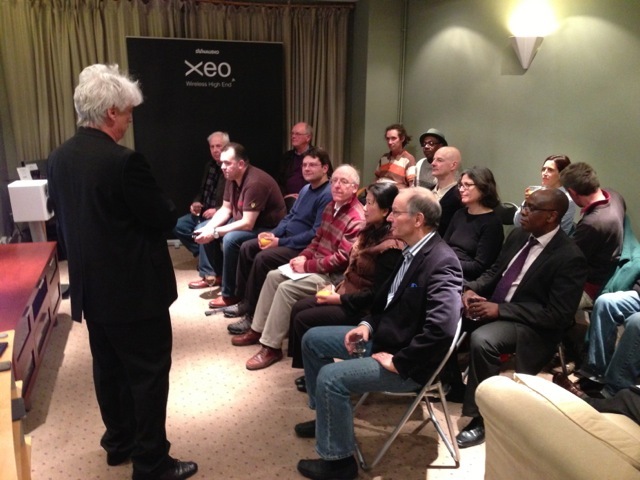 We had a full house and could not have squeezed another person in..
Bill Livingstone gave us a fascinating talk, not only on the Xeo speakers, but also how to get the absolute best quality out of music files stored on computers. I would be surprised if there was anyone who did not gain some useful insights from this alone. The Xeo's needless to say sounded fantastic and we had people staying late into the night blasting out there favourite tunes. We also took a number of orders, which was great. To everyone that came I would like to say thank you, for making it such a fabulous night.